Recent years have seen an explosion in the number of children diagnosed with “invisible disabilities” such as ADHD, mood and conduct disorders, and high-functioning autism spectrum disorders. Whether they are viewed as biological problems in brain wiring or as results of the increasing medicalization of childhood, the burden of dealing with the day-to-day trials and complex medical and educational decisions falls almost entirely on mothers. Yet few ask how these mothers make sense of their children’s troubles, and to what extent they feel responsibility or blame. Raising Generation Rx offers a groundbreaking study that situates mothers’ experiences within an age of neuroscientific breakthrough, a high-stakes knowledge-based economy, cutbacks in public services and decent jobs, and increased global competition and racialized class and gender inequality. 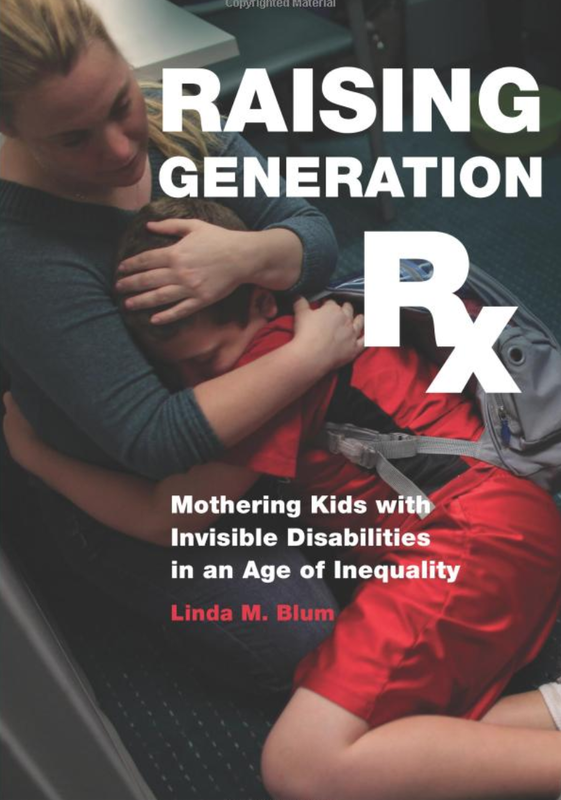 Through in-depth interviews, observations of parents’ meetings, and analyses of popular advice, Linda Blum examines the experiences of diverse mothers coping with the challenges of their children’s “invisible disabilities” in the face of daunting social, economic, and political realities. She reveals how mothers in widely varied households learn to advocate for their children in the dense bureaucracies of the educational and medical systems; wrestle with anguishing decisions about the use of psychoactive medications; and live with the inescapable blame and stigma in their communities.